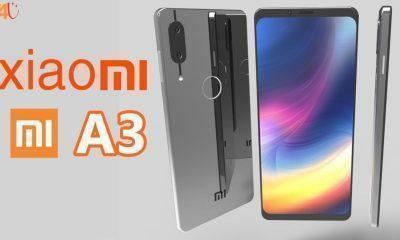 Xiaomi is about to add a new member to its ever-growing line-up of smart phones and what’s more exciting about this upcoming device is that it will be the company’s first Android One smart phone made as per Google’s requirements, that mean’s this will run on Pure stock Android. And will enjoy regular updates from Google itself. Now the phone has already been confirmed to arrive soon, but adding more fuel for its arrival is code string spotted on Flipkart, which points out that the new device coming is none other than the Mi A1 itself. The teaser posted by Xiaomi has the Mi A1 in its alt tag, thus confirming tomorrows launch will be the Mi A1. Which the company is touting has a flagship Dual-Camera setup. Apart from that new Geekbench listings emerged showed a decent single and multi-core score, hinting us a mid-range processor is in plans. 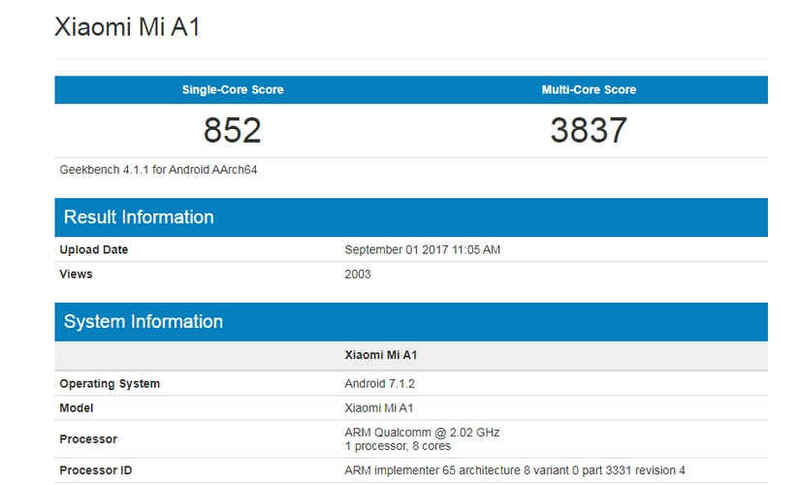 So, we can expect a Snapdragon 625 or similar (SD 626), as the score match that of Xiaomi’s Mi 5x. Moreover, 3GB to 4GB RAM along with 32GB/64GB ROM, a battery will surely pass the 3000mAh mark with quick charge support. Fingerprint sensor might end-up on the rear as a norm on Xiaomi mid-rangers. 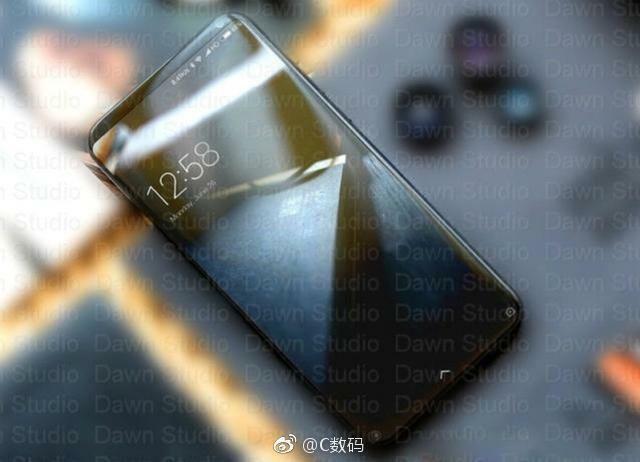 However, according to the rumors, the main USP here is belonging from the Android One family, and the users who aren’t much into the company’s MIUI interface will now get what they always desire for Xiaomi’s phones. 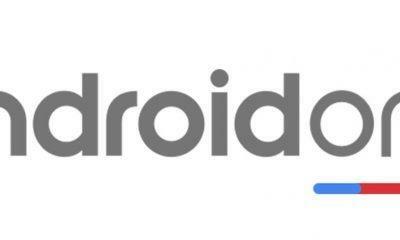 Google initiated the Android One earlier in 2014, but after a pale response from its users, the future of Android One was in uncertainty. While we still doubt any existence of flagship camera’s on a budget Android One phones, or this maybe an international naming scheme for the Mi 5x. 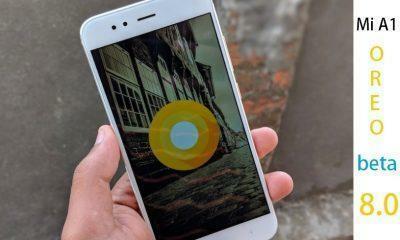 With OEMs such as Intex, Micromaxx, and Karbonn, now with Xiaomi stepping into this program will breathe new life in Google’s Android One vision. Stay tuned as we tomorrow cover the launch event and bring you the complete specs and pricing details and how the Dual-Camera’s will fair against its rivals. Xiaomi Redmi Note 5A vs Xiaomi Redmi 4, War of the Budget Kings!